Among the more established fintech sectors is customer-relationship-management (CRM) software for financial advisors. Legacy players have long dominated the space, but fintech upstarts are starting to respond to the changing needs of consumers of financial advice and the financial advisors that offer it. What’s new in the fintech space is tech that connects savvy investors and consumers of financial planning with the financial advisor that’s right for them. Starburst Labs, a New York-based fintech startup that develops technology for financial advisors, investors, broker-dealers and financial media companies, recently closed a $6.25 million Series A funding round led by Bel45 Capital Partners. Starburst Labs, with headquarters in New York City and its engineering team in Providence, is developing a suite of advisor-meets-investor-centric technologies that will enable customers to find the right advisor to work with and allow advisors to better manage their clients’ needs, according to CEO John Rourke. Rourke outlined the suite of products his team is building to Benzinga. In addition to products that are more material to the day-to-day of the advising business, Starburst Labs is also creating social applications that will let users on both sides of the relationship engage with one another. Rourke said that the edge his products provide comes from his team’s extensive experience in software-as-a-service (SaaS) design and development, which allows them to create a user experience that’s not beholden to traditional finance norms. 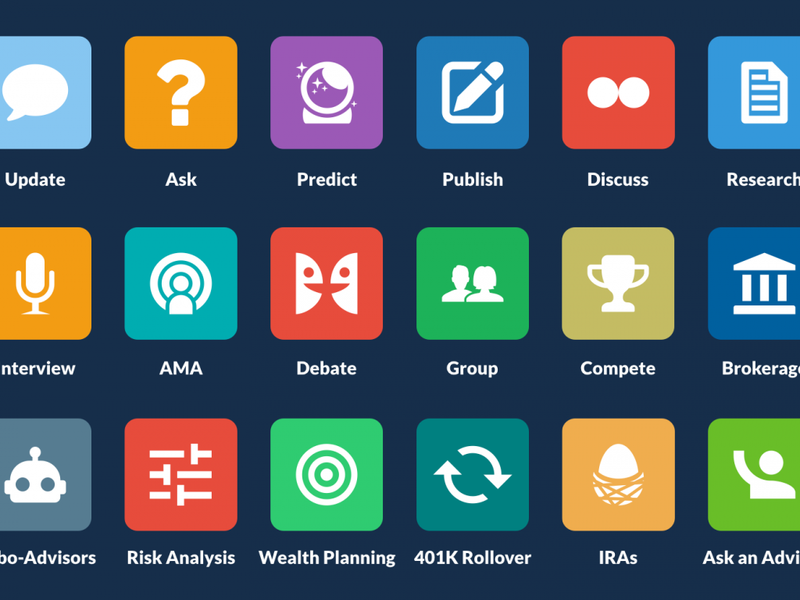 Starburst Lab’s advisor-focused product is called Wealthbox CRM. One of the platform’s main strengths is its depth of partner integrations for a young product — partners such as eMoney Advisor, Veo by TD Ameritrade, Albridge, Orion, Riskalyze and others have already integrated with the platform. A complementary product coming out later this year is Wealthbase, a subscription service for advisors that allows them to take questions from consumers and answer them in a compliance-acceptable manner. Then, consumers can connect with a financial advisor that suits their preferences. Yes, it’s sort of like “the Uber of financial planning advice,” said Rourke. Wealthbase is baked into two of Starburst Labs’ social products, InvestorSay and PaperTrade.io. InvestorSay is like “the lovechild of Reddit, Quora, Product Hunt, and Twitter,” said Rourke, and is a gamified social network for investors to swap ideas and discuss investing products. The plan for the network is to produce content for investors of all styles. InvestorSay will launch a public beta later this quarter, Rourke added. Finally, Papertrade.io is a platform on which firms and media partners can add-on stock-trading games to host on their own sites. Building four products at once is a tall order for Starburst Lab’s 10-person team, but an intense development schedule is part of Rourke’s vision for the company. He hopes the social engagement products will drive interest in Starburst Labs’ Wealthbox CRM and the QA software of Wealthbase. “The goal is to create independent, self-sustaining products in the fintech/wealth-tech sector that can be profitable business units unto themselves, yet which can cross-promote, integrate, and provide greater value to each other,” Rourke said. Wealthbox has been live since 2014. Wealthbase will launch later this year, and PaperTrade.io and InvestorSay launch in March. Connect with us on social media — use the hashtag #BZAwards and #Fintech to spread the word!